Bechdel Violence – Representation Matters. I Know What I Saw does not pass the Bechdel Test. There are several named women, but none seen speaking directly to each other. I Know What I Saw does not contain violence towards women, and contains infrequent mild violence towards men. Area 51: The CIA’s Secret Files does not pass the Bechdel Test. There are not two named women. It also does not pass the reverse Bechdel Test- there are several named men, but none depicted speaking directly to each other. Area 51 does not contain violence towards women or men. 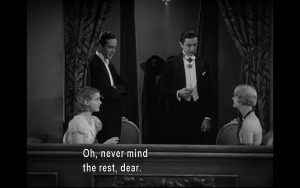 Dracula passes the Bechdel test. 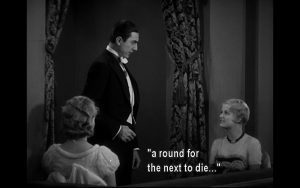 Dracula contains infrequent moderate violence towards women and men. Ghostbusters (2016) passes the Bechdel Test. Ghostbusters (2016) contains frequent moderate violence towards women and men. Deadpool 2 does not pass the Bechdel Test, but the case against it is compelling. Negasonic is referred to by name in a conversation between two men, without clear indication of who belongs to the name. 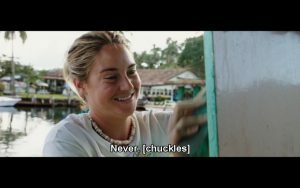 The scene in which she and another woman pass the Bechdel test is post-credits. Deadpool 2 contains infrequent graphic violence towards women and very frequent graphic violence towards men. High School Musical 2 passes the Bechdel Test. High School Musical 2 contains frequent mild violence towards women and infrequent moderate violence towards men. My All-American passes the Bechdel Test- but exclusively with this exchange: My All-American contains infrequent mild violence towards women and very frequent mild violence towards men. The Man Who Knew Infinity does not pass the Bechdel Test. There are not two named women. The Man Who Knew Infinity contains infrequent moderate violence towards women and frequent moderate violence towards men. Mike and Dave Need Wedding Dates passes the Bechdel Test. Mike and Dave contains infrequent moderate violence towards women and frequent moderate violence towards men. Adrfit passes the Bechdel Test. Adrift contains infrequent moderate violence towards women and infrequent graphic violence towards men.